Well as 2013 draws to a close I can look back at a year where I’ve certainly eaten a lot of food, more so than ever before. I’m certain I would have been a few dress sizes bigger if it weren’t for doing a little running!! The blog’s been going for 10 months now and there have been highs and lows. Mostly highs I must admit and I’m very thankful for that! I already knew that Leeds had lots of good things about it when it came to food and drink, but during the last 10 months I’ve realised it’s great and getting even better. Of all the local places I’ve eaten this year, the most memorable ones I think are probably the places I keep recommending time and time again. 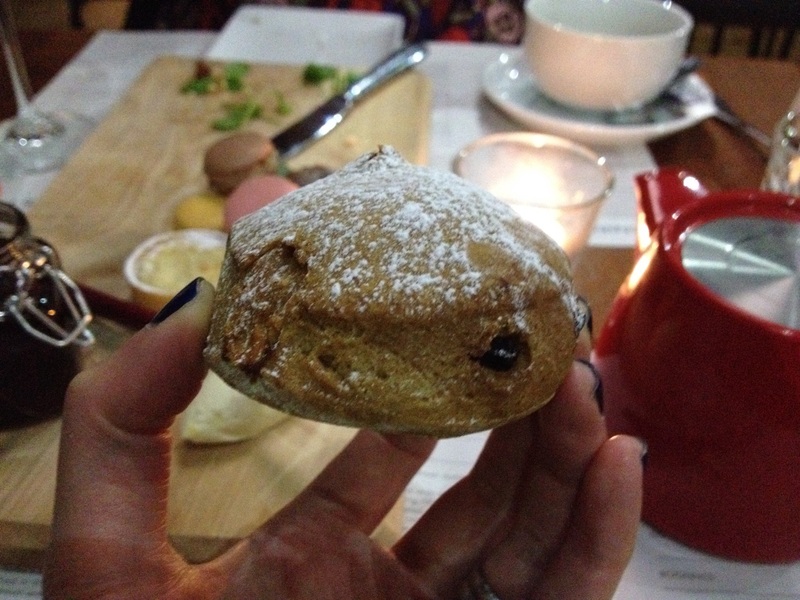 In particular I loved Shears Yard, a wonderful new addition to the restaurant scene in Leeds, serving beautiful food and ethically responsible to boot!! Other notable places to have won me over are RARE and Dough Boys pizza at Belgrave Music Hall! The street food scene had grown massively in 2013, with the Briggate World Feast, Leeds Food Festival, Leeds International Beer Festival, Amazing Graze festival and LS6 Beer festival on the Left Bank. 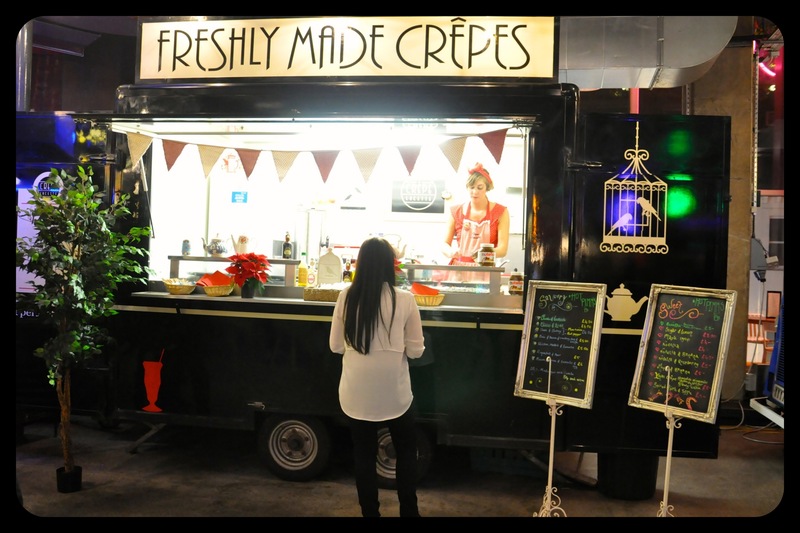 Of course, not to mention Trinity Kitchen showcasing some of the best street food vans from all over the UK. A vast array of Leeds markets this year have grown from strength to strength: Briggate World Feast, Farmers markets in Headingley, Horsforth, Oakwood, Chapel Allerton and Otley, the Briggate Farmers and Craft Market and also Kirkstall Deli Market, all showing off what Leeds and the rest of Yorkshire has to offer in terms of wonderful produce! 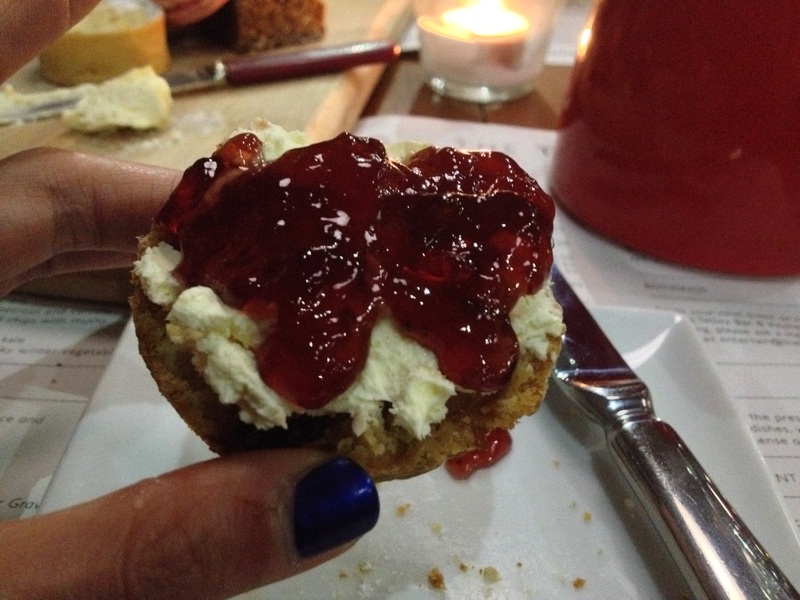 Supperclubs such as much the loved Dinner at the Manor and Cena Sarda have been wowing people with their food. Pop-up restaurants like Strano’s, Tongue ‘n’ Cheek at Jake’s Bar & Still and The Captain’s Table at Outlaws Yacht Club have been very exciting and brought something new to the table. One of the most memorable pop-ups was the collaboration between Brooklyn Brewery/Reds True BBQ, it was fantastic to see this great meeting of minds work. I’ve really enjoyed meeting lots of great people who are passionate about food, for example Mike Tattersall, producer of Indie Ices and Sarah Mather from Noisette Bakehouse/Madeleine Express. I’ve had many new food experiences this year, but one of the highlights which I hadn’t experienced before was a coffee cupping event, which North Star Micro Roasters held a few months ago. Zucco, RARE, Shears Yard, Belgrave Music Hall and Canteen, Cielo Blanco, IT Bar and Food Joint, The Tetley Bar & Kitchen, Mojo, Le Chalet, The Atlas Pub, Kirkstall Bridge Inn, The Hungry Bear and Kitschen. Some of which; the last six, I really want to try out for the first time in 2014! 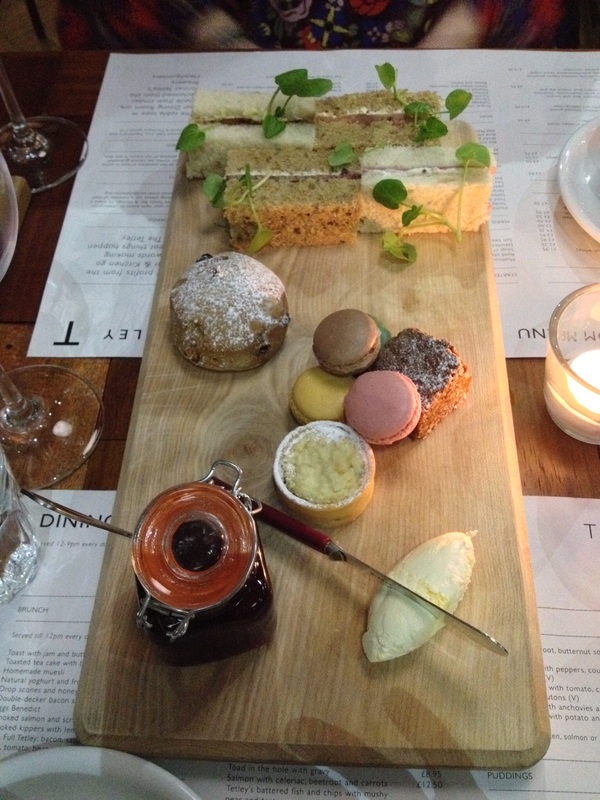 I’m hoping the new year will see the food and drink landscape evolve even further in Leeds. New ventures such as MEATliquor and possibly Byron Hamburgers (council approval dependent) will be opening in the city centre, and I’m relishing the prospect of more establishments opening up in the Leeds area. 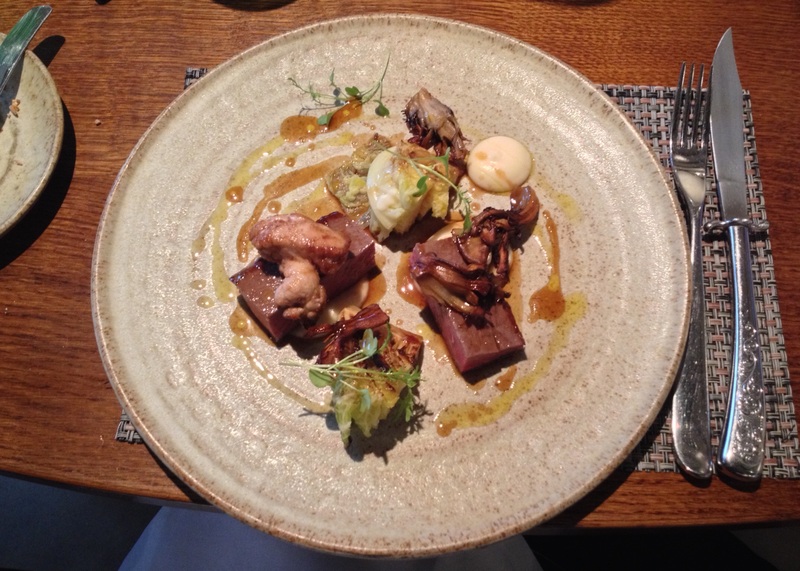 With everything that Leeds has going for it in terms of food and drink, for me what would really top it off is if Leeds had its own Michelin starred restaurant to really put the place on the culinary map. The one starred Box Tree in Ilkley is close, but not close enough! Who knows, maybe it’ll happen in 2014. Ahhh for the love of good food!! Having been stuck indoors since Saturday and been hit by the dreaded flu, (that’ll teach me to miss the staff flu jab at work again), I’ve been desperately in dire need of proper sustenance. 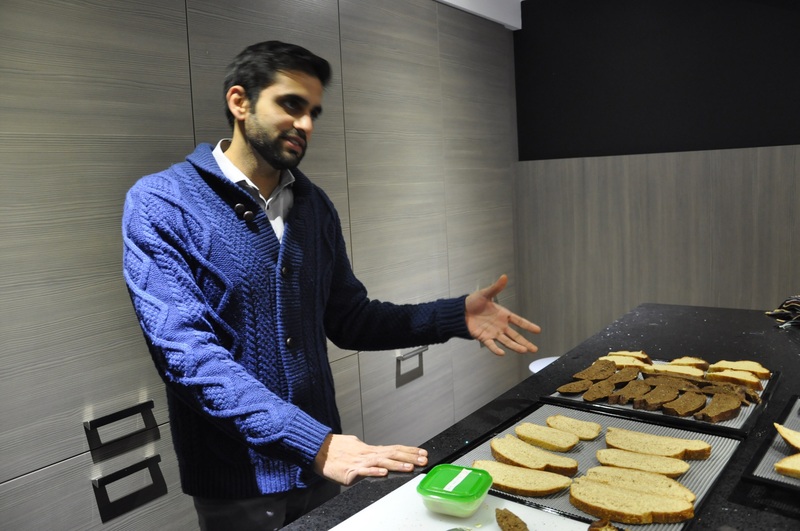 Trinity Kitchen welcomed their newest five street food traders on Monday. Two of these, I’ve been following for a little while after reading they would be in the new line-up for Trinity Kitchen – Donostia Social Club and Original Fry Up Material. I must admit that it’s the different street food traders that really do it for me when it comes to Trinity Kitchen. Out of the seven permanent eateries I’ve tried Pho and Tortilla, I particularly enjoyed Pho, but to be honest even though I’m sure they have their fans, I’m not sure how fussed I am at trying most of the others, and I have my favourite go-to places in leeds for those already. 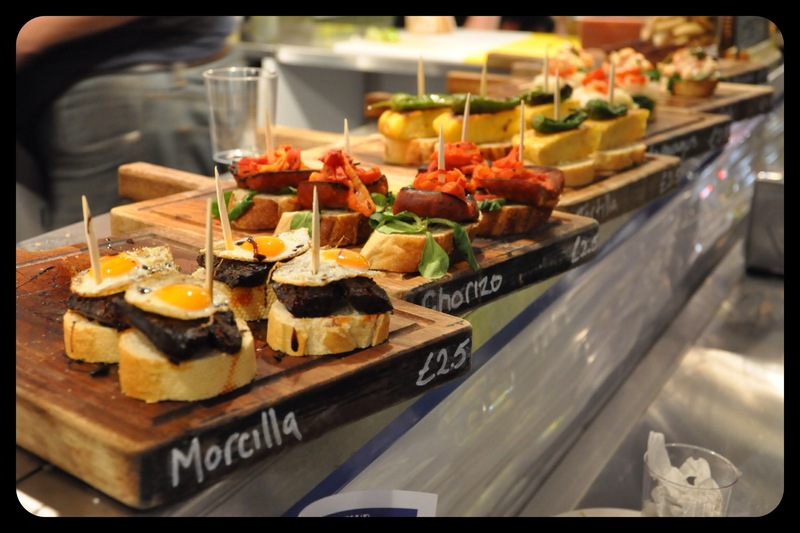 Out of the new traders I particularly wanted to try out Donostia Social Club as they serve Pintxos (pronounced pinchos), those Basque delights I fell in love with on a summer roadtrip around Northern Spain in 2010. It was a fantastic holiday, where we drove around the Basque region of Spain, working our way through Bilbao, San Sebastián and Logroño, amongst others. If you love good food, wine, culture, art and architecture old and new you may enjoy it as much as I did! The region has influences from three areas each with their own climate and landscape, resulting in the availability of a range of different ingredients. It’s also one of the world’s culinary heavyweights famed for their gastronomy and the number of Michelin starred restaurants it possesses. 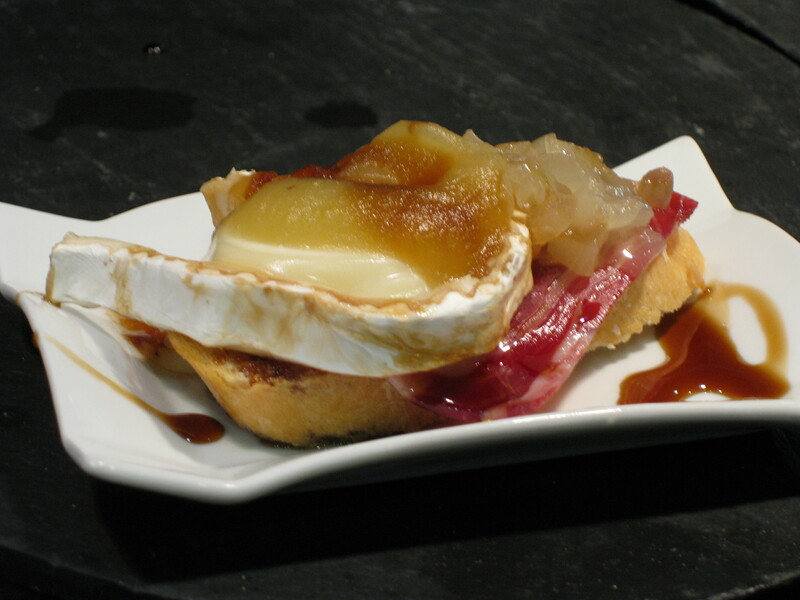 The fantastic Rioja wine comes from the region, but also Pintxos. 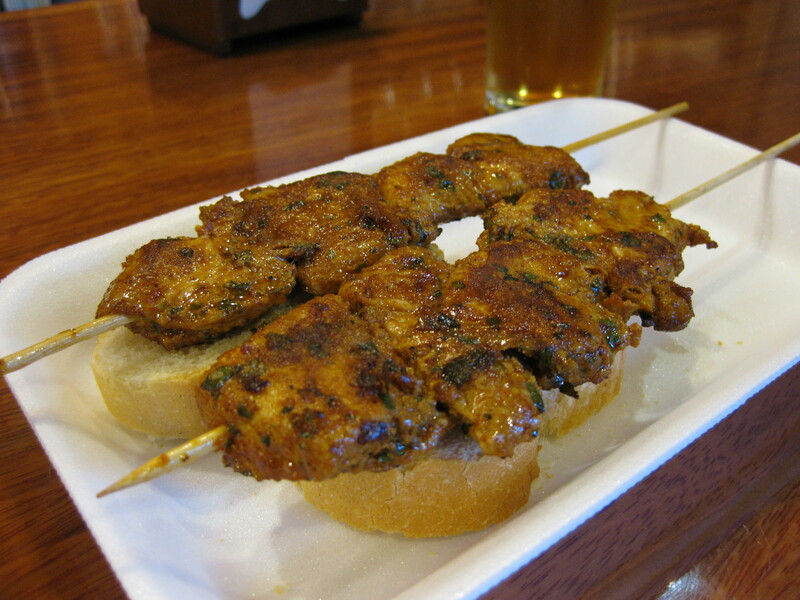 Traditionally pintxos are served on the bar counter – many are slices of baguette topped with different combinations of textures and flavours. 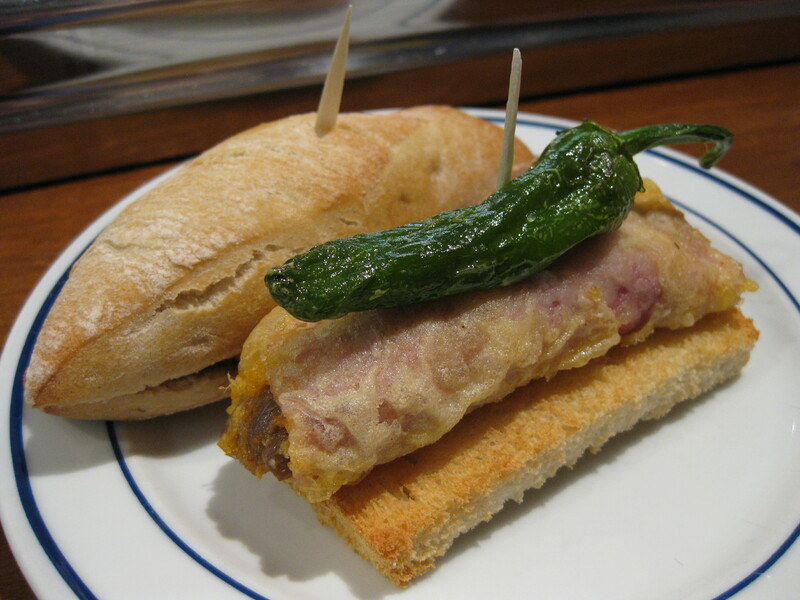 Costing just a few euros each, normally the custom would be to order a drink and have a pintxos to accompany it, a fantastic way to have a leisurely snack, lunch or dinner. 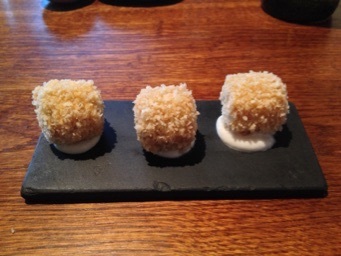 The streets of San Sebastián and Bilbao were lined with these Pintxos bars, and what was great was they usually had individual menus, so they didn’t compete with each other. I think back and feel if I’d been blogging then, I would have had an absolute field day!! 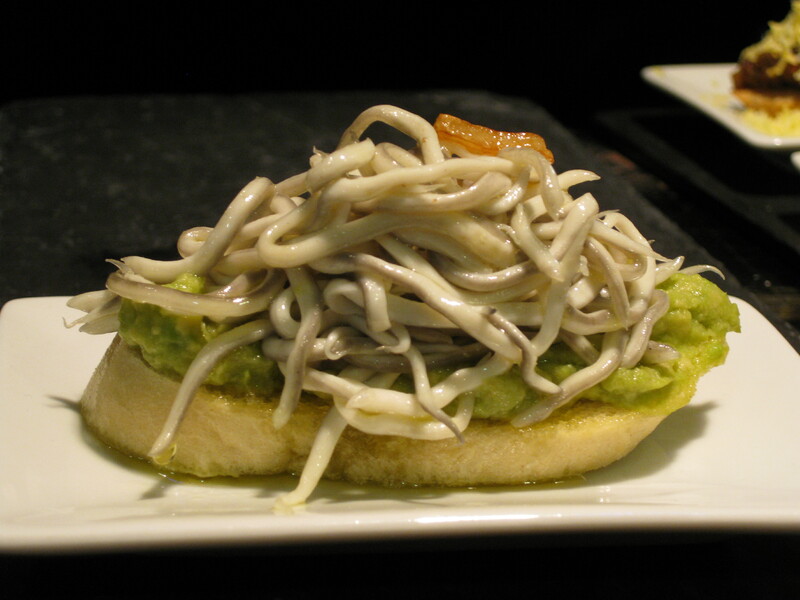 We had a very memorable evening in Logrono on a pintxos crawl on the well known streets Calle Laurel and Calle San Juan, going from one bar to another and having drinks and pintxos in each. Our days went…explore, eat lunch, explore more whilst walking off our lunch in the warm sun, have a siesta and then late dinner. OK, enough of me reminiscing, it was fab though! 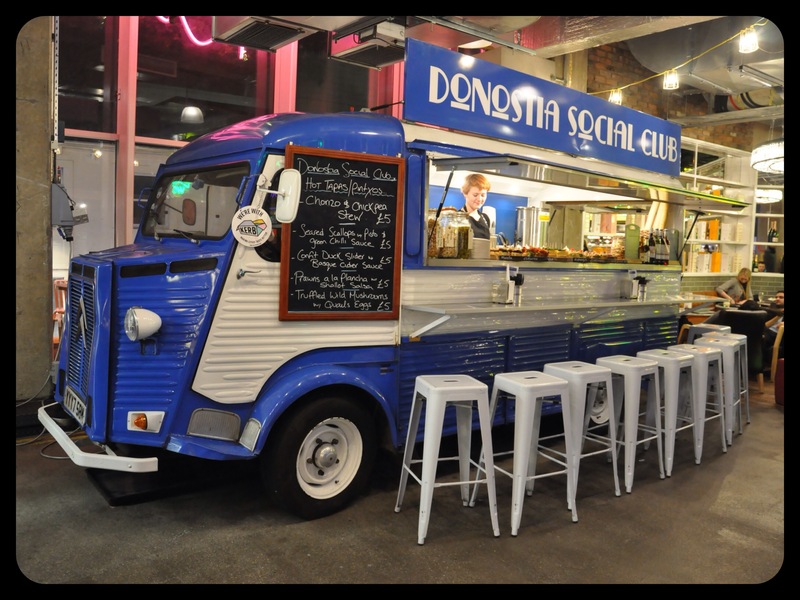 So, when I’d read that Donostia Social Club were going to be at Trinity Kitchen for a month, my heart skipped a beat. If I remember rightly Donostia means San Sebastián in Basque and it immediately reminds me of sitting in a pintxos bar with lots of regulars and many tourists!! They have a selection of cold (£2.50) and hot pintos (£5) to choose from, as I’d expected the cold ones were lined up on the counter of their cool Citroen H Van to drool over; I certainly did and hot ones were cooked to order. From what they had on offer I picked the scallops, tortilla, and morcilla with a lovely Rioja to wash it down. 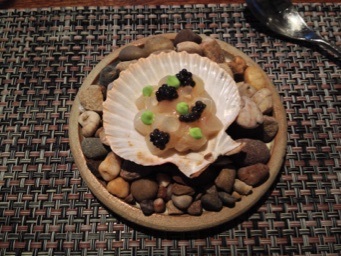 All were REALLY good, the scallops were MASSIVE, lovely and soft, perfectly cooked, on top of soft fresh bread too. A winner!!! 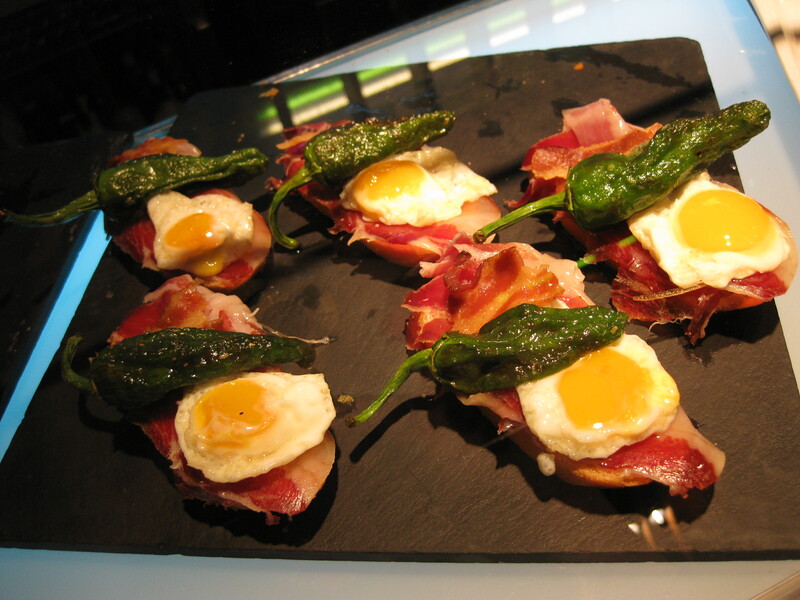 My other two were cold pintxos and equally enjoyable, I LOVE tortilla, the best I ever had was on our travels in Spain with their warm, soft eggy centres, of which we ate many slices. This wasn’t quite as good as those, but I did ask for seconds so that says a lot!! Finally the morcilla (black pudding) was YUMMY – meaty, but moist and I loved the quails egg on top. For dessert I popped next door for a crepe from the ladies at Crêpe Lucette. 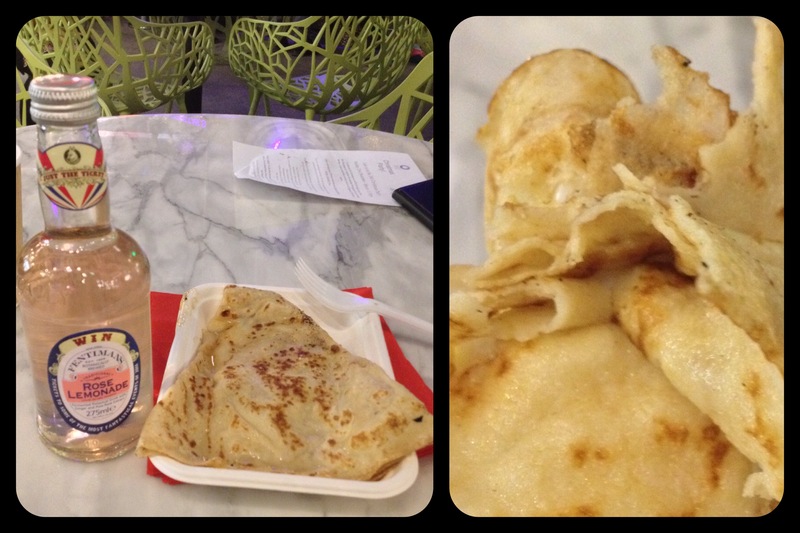 I love a classic crêpe with lemon and sugar, but they have a good choice of sweet and savoury crêpes too. It was freshly made, and took literally a couple of minutes. As thin as you would like a crepe to be, with the right level of sugary sweetness and lemony sourness. Filling too, my crêpe certainly wasn’t small. Very nice indeed!!! 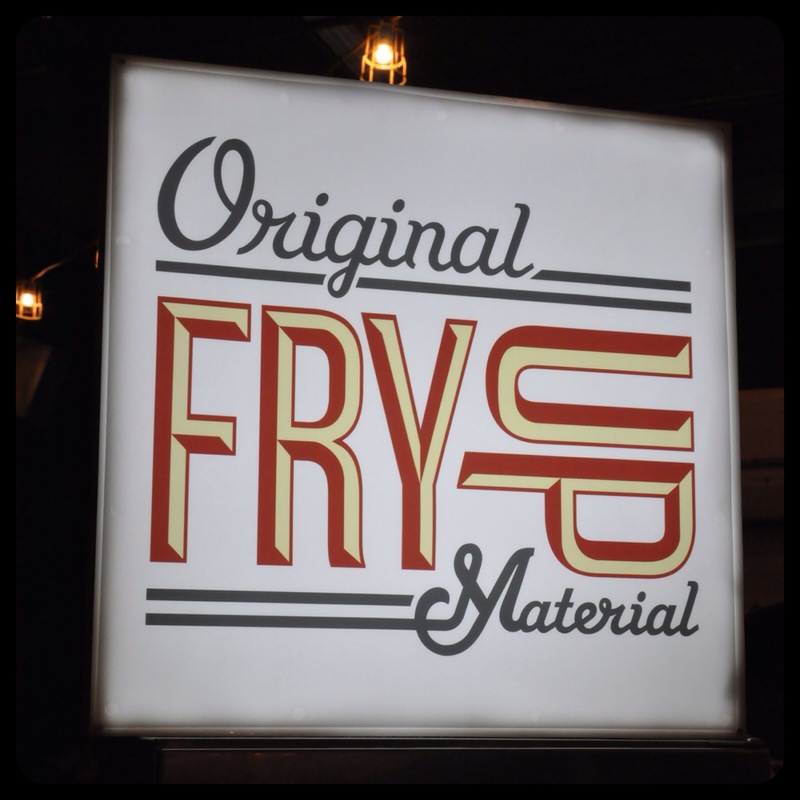 The other street food stalls on my radar this month are Original Fry Up Material serving their British fry up and burgers. Their signature dish is the English Brekkie Muffin, at the heart of the dish is their very own homemade sausages, free range Blythburgh pork shoulder, herbs and spices. Along with a free range egg, proper American cheese, dry cure streaky bacon, a ‘secret’ sauce and their own English muffin. It sounds like a winner, I’m going to have to pop over when finishing my Christmas shopping to have one. 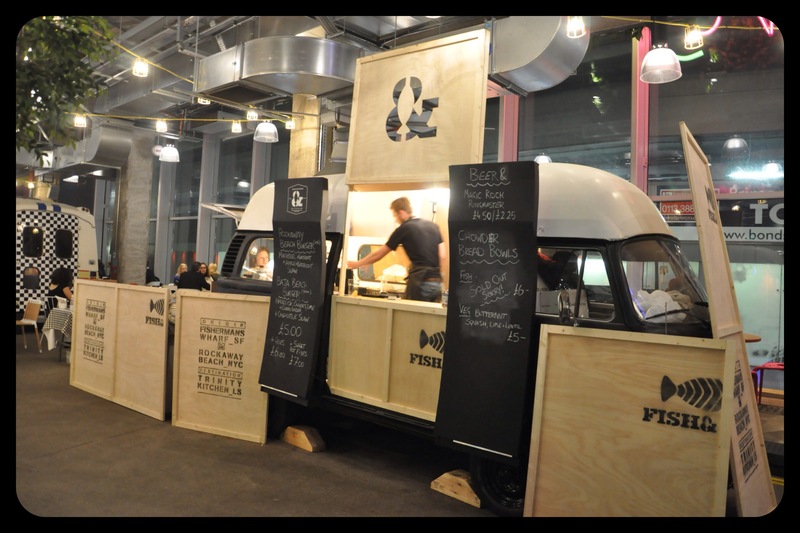 Finally Fish&, their name is already synonymous with great street food in Leeds and have built up a very loyal fan base. Having devised a new menu for their stint at Trinity Kitchen, I’m sure they will be selling their food to droves of people. Not only do they have their new menu, there’s the new VW van and a design upgrade too. So far I’ve been really impressed by the street food traders at Trinity Kitchen, this month could be the best to date. Go and see what you think!! 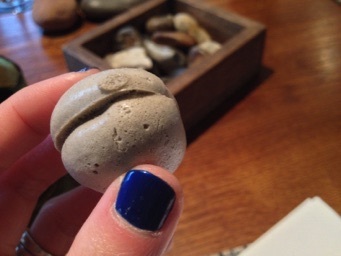 L’Enclume and Simon Rogan first came onto my radar from being an avid fan of BBC’s Masterchef and The Great British Menu. 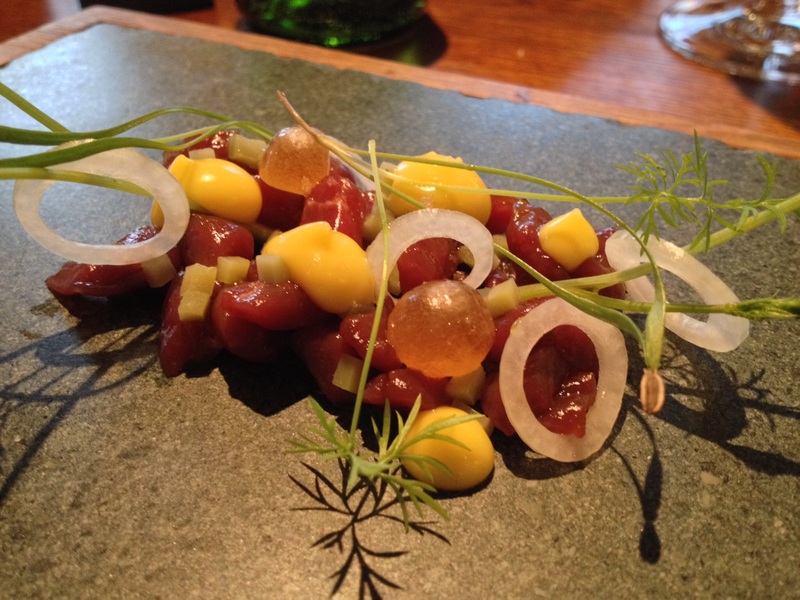 Since then I’ve been intrigued by the foraging aspect of his food, mixed with a modern technical style of cooking, which play integral parts to L’Enclume’s food. 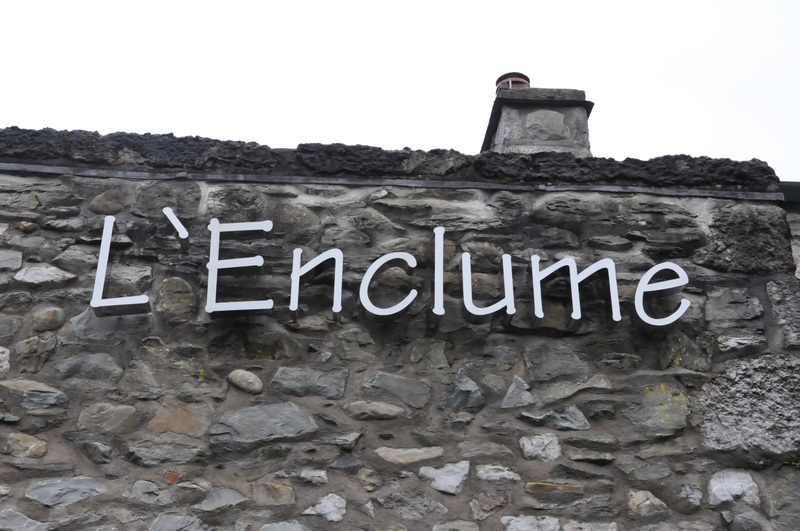 For those of you who are unaware of L’Enclume, this multi-award winning restaurant is found in Cartmel, a small historic village in the Lake District. 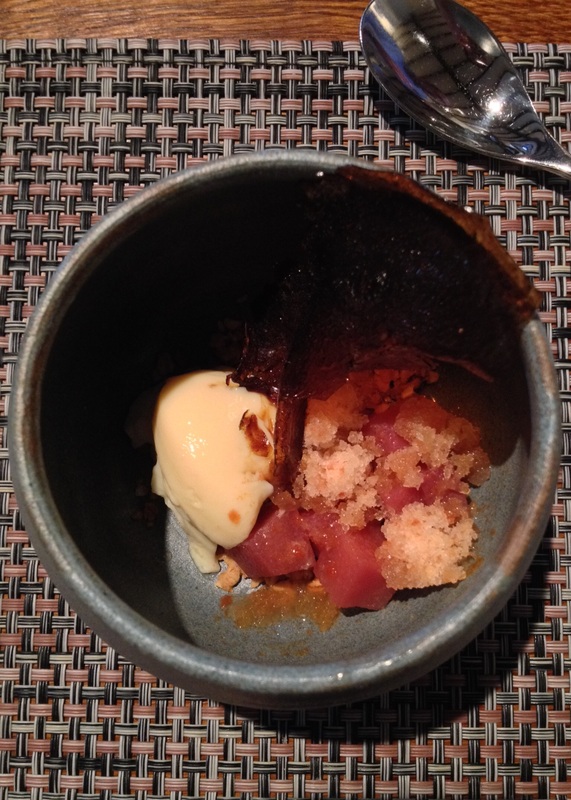 Since it’s opening in 2002, it has has quietly evolved into one of the powerhouse dining experiences in the UK. 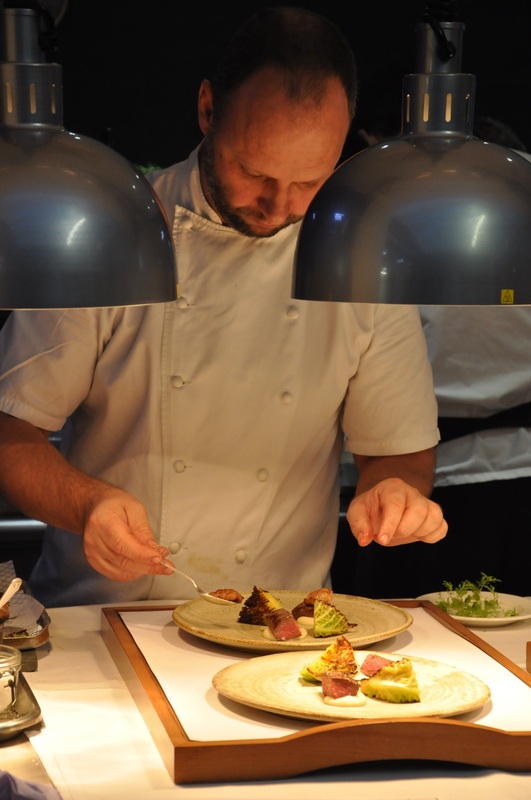 Simon Rogan, the mastermind chef seems to have won nearly every plaudit in 2013. 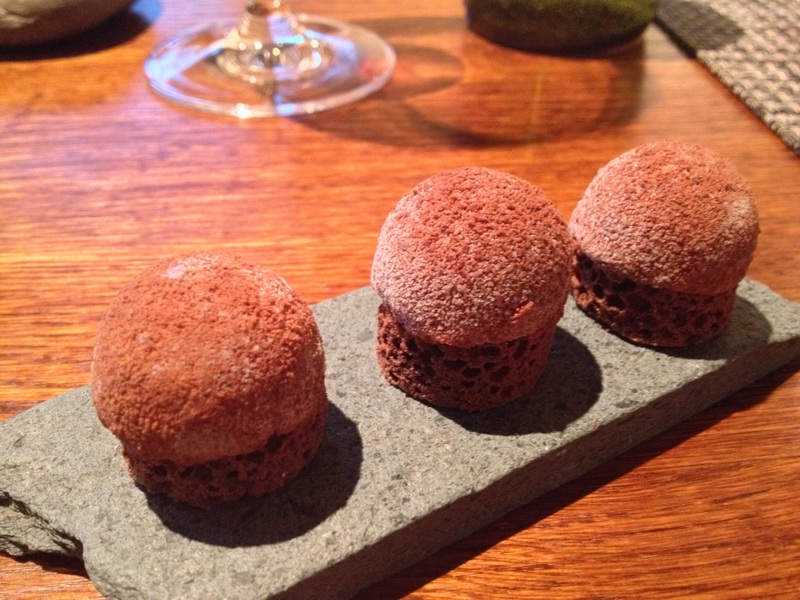 Winner of the Best Restaurant 2014 by the Good Food Guide, being rated as a perfect 10, (the only other restaurant to have done that – The Fat Duck), and now they are ranked number 1 restaurant in the UK. 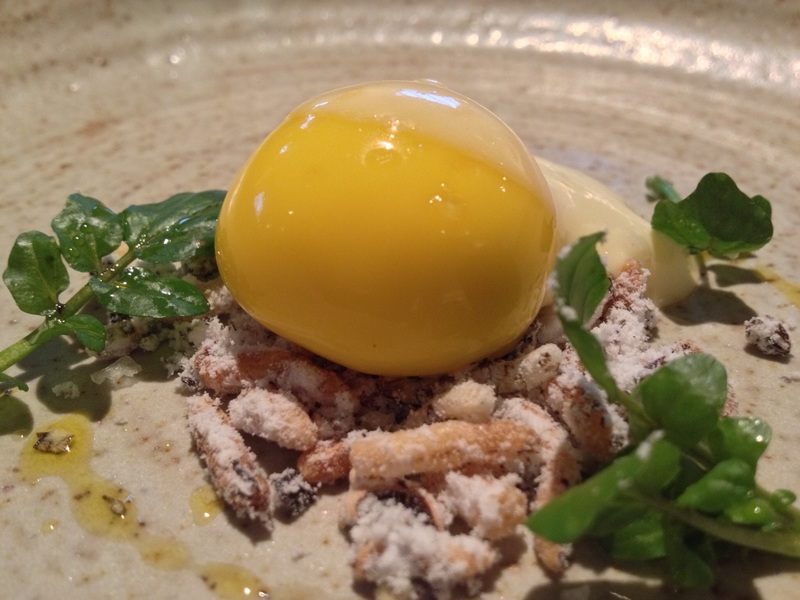 It is the Observer Food Monthly Awards Reader’s Favourite of the Year and received a second Michelin Star. He’s taken over The French at The Midland in Manchester, and from spring of 2014, he’ll take over the helm at London’s Claridges. He was awarded Best Chef and Independent Restaurateur at the Food Industry’s Catey Awards, and finally ranked 4th in the National Restaurant Awards. All in all, not a bad year!! I’d wanted to eat here for so long and experience it for myself, so I thought why not make a weekend of it for my birthday, my 37th. 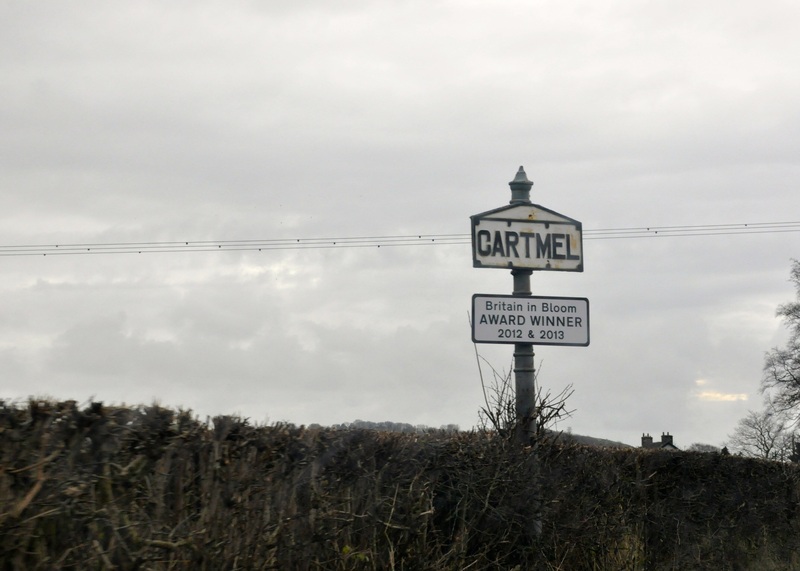 We’d planned to stay in Cartmel to make the most of our trip, so booked rooms in the nearby Cavendish Arms. Originally the plan was for myself and the other half to go, as I always like to celebrate it on the quiet. But I invited one of my best mates to come too, as we’d spoken many a time on how much we’d both like to eat here. Even as we drove into Cartmel, my friend and I were getting excited, and even more so when we saw the restaurant itself!! We were like excited little school girls and celebrating because it felt like Christmas had come early. 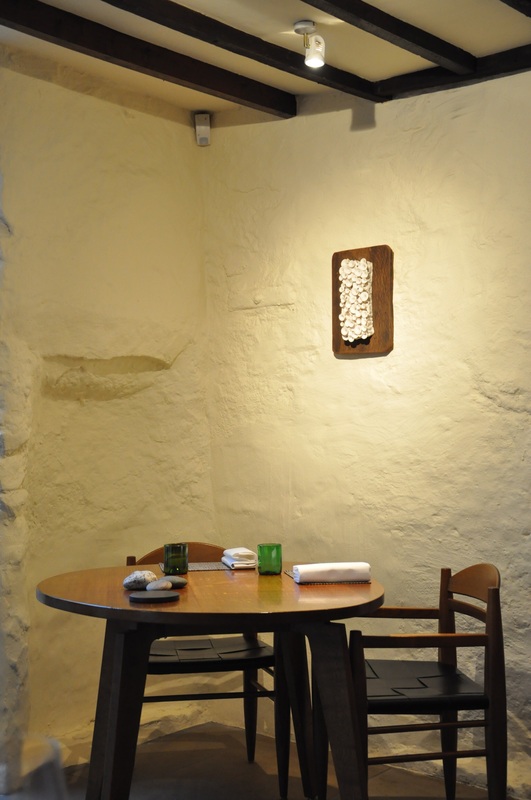 On entry to L’Enclume I got the feeling of how relaxed and quiet the dining room was, there was a calm ambience to the place which I personally found very reassuring. It was a bit weird, but I think I got a little starstruck for the very first time, when from the main reception desk I saw Simon Rogan in the kitchen. A little squeal of little girl giggles came out, even the other half shook his head in disbelief, but I, unashamedly didn’t care one iota!! 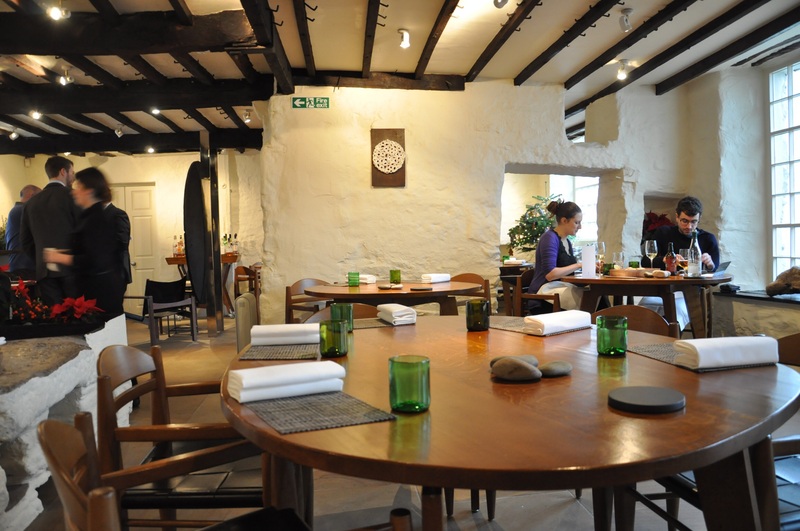 The table they gave us was perfect for looking directly into the kitchen and you could see Simon Rogan and his head chef plating up on the pass. 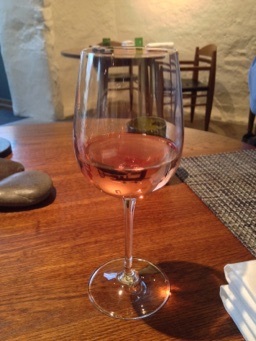 We ordered Kir’s to start with as they always go down well, and soon settled down and relaxed into our new surroundings. A few minutes later we were brought the wine list by the Head sommelier. I looked through what was as an extensive list, with plenty of wines from the New World and classic choices as well. Lots of variety to suit every taste and a range of pockets too. I couldn’t settle on a wine, so we thought we’d be better to try match the wine with the food and realised we would need some advice from our Sommelier. 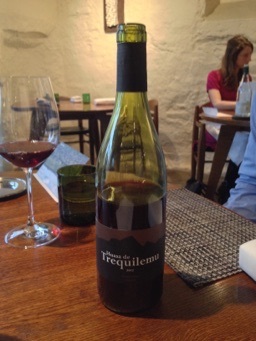 After a few minutes of discussion we ordered one of their Biodynamic wines from Chile, a Huasa de Trequilema. The main reason going for a Biodynamic wine was that the other half hadn’t drunk any red wine since it set off a gluten intolerance reaction, but at the same time a red wine was going to complement the food more. He obviously knew his stuff, and the other half was certainly very grateful as he reassured us that these wines had nothing artificial in them whatsoever, we’d soon know about it if it did!! It was lovely; really smokey and medium bodied, a good one if you like reds, but don’t want anything too robust. 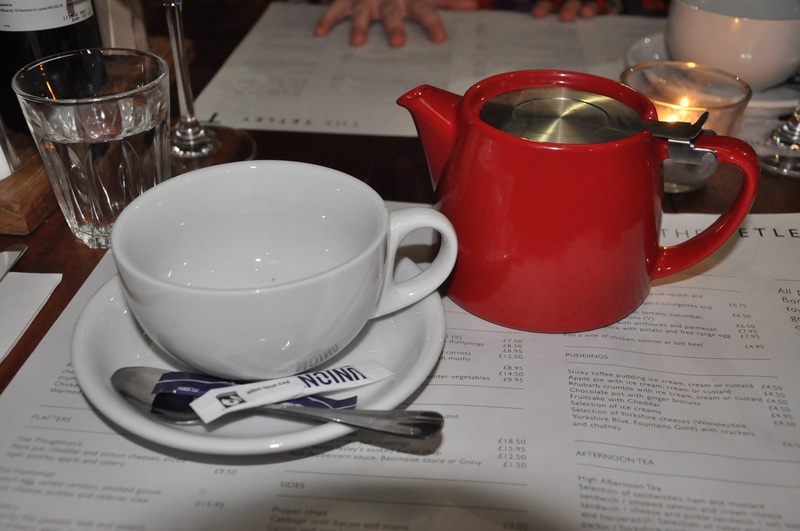 We were happily absorbing the atmosphere, watching the staff do their thing, when Sam the Maitre’d introduced himself and said he wanted to talk to us about food. This was music to my ears and when he asked what we’d like to eat, I automatically said ‘EVERYTHING!’ Saying this, we all stuck to being well behaved and ordered the six course lunch. Moments later it REALLY did feel like Christmas had come early, because Sam then handed us two envelopes from his jacket with the menus on. One for the other half which was gluten friendly, and two for my friend and I. He should’ve been dressed like Father Christmas!! 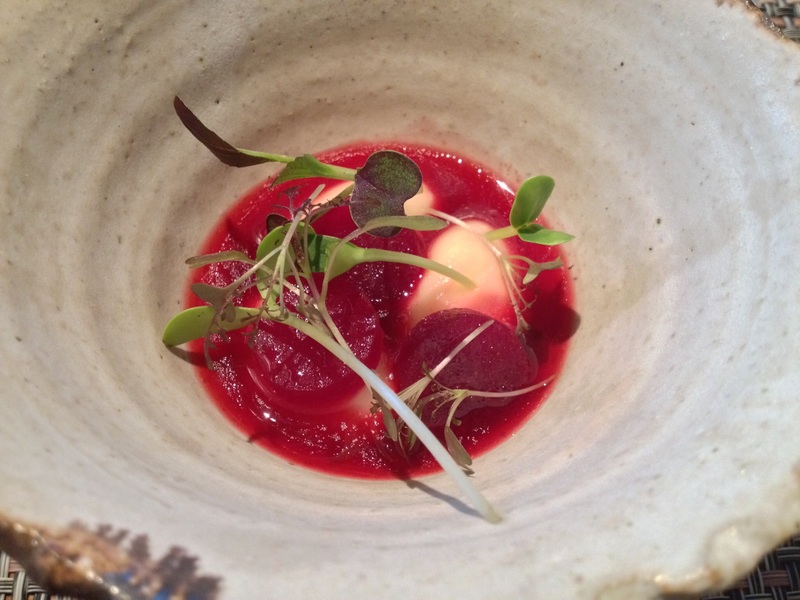 So for the six course lunch menu I was really interested about cooking techniques and ingredients, as Simon Rogan is renowned for his technical prowess and sourcing of native produce. All the ingredients they use are local to their environment, such as their homegrown herbs or meat from their connections with local farmers. 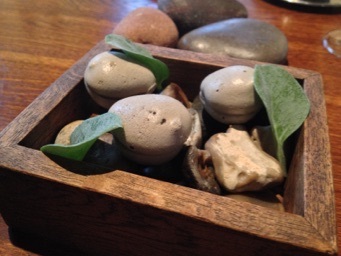 The first of our appetisers were Oyster pebbles, little squid ink meringues filled with an oyster mousse and cubed Granny Smith, topped with an oyster leaf. With eyes shut you would be able to tell what the intended flavours were supposed to be. It was melt in the mouth and delicious, the oyster leaf really took me by surprise as it had such an incredible flavour of oyster. I suppose oyster by name, oyster by nature. 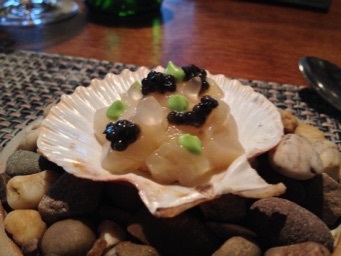 A stunner of a dish, the creamy scallop against the slight saltiness of the caviar was beautiful! 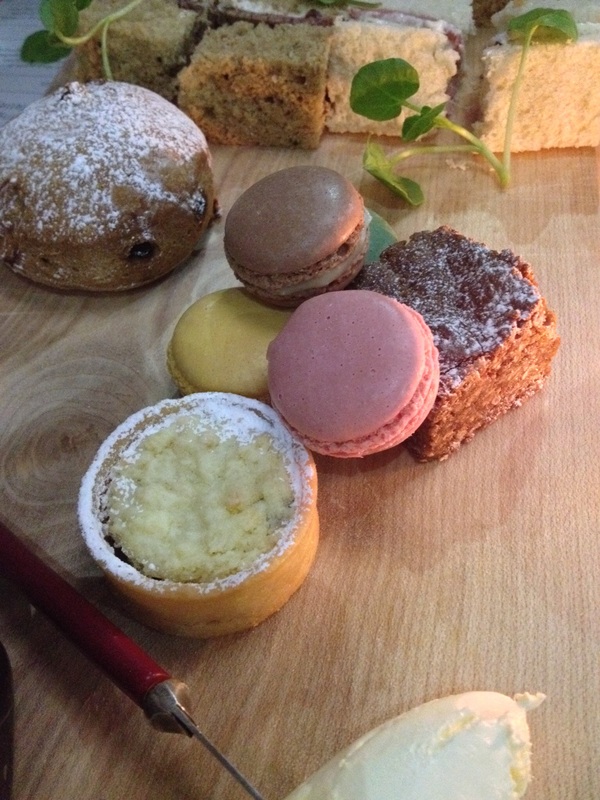 Oooh, these were very good!! 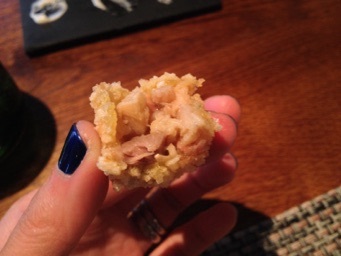 Lovely little golden nuggets of joy, filled with a yummy combination of textures and tastes. 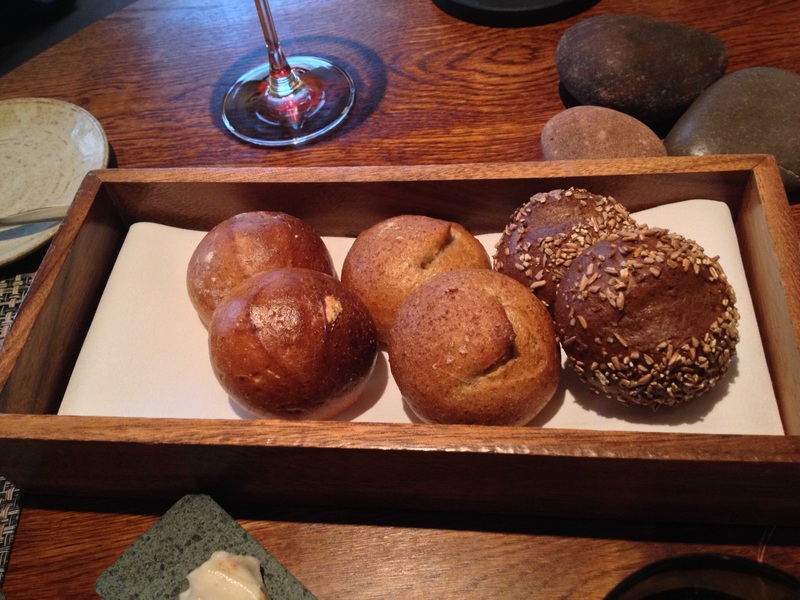 As you would expect from a restaurant of this quality and standing, their bread is made in-house. Served warm, I really enjoyed them. I tried the white roll with onion jam and thyme and the malt and cracked rye with molasses and cocoa. Both were lovely, soft and tasty. 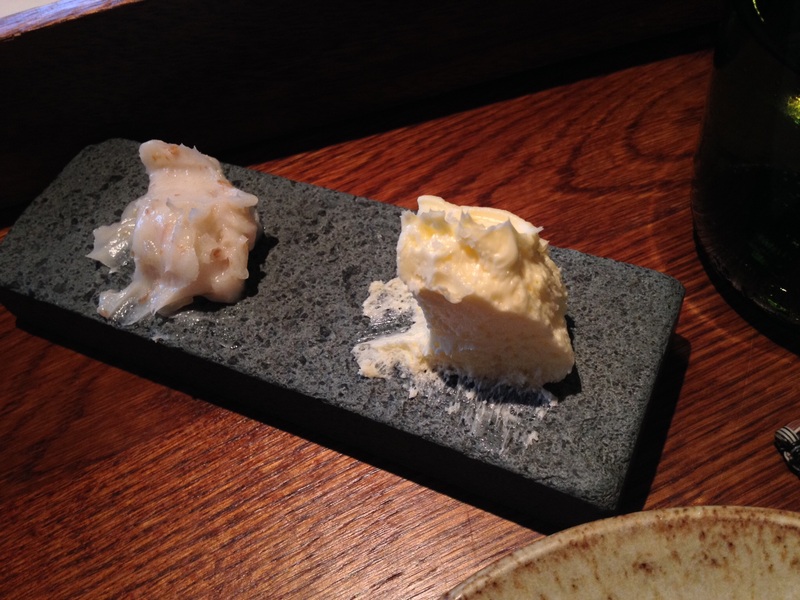 To accompany them some Cumbrian butter and ham fat dripping, both were delicately rich and delicious. 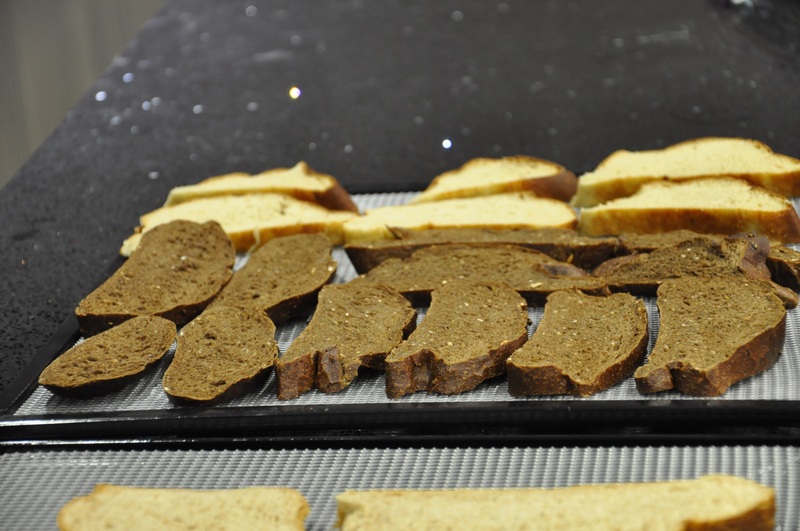 They also catered for the other half’s gluten intolerance and made some bread with chickpea flour. 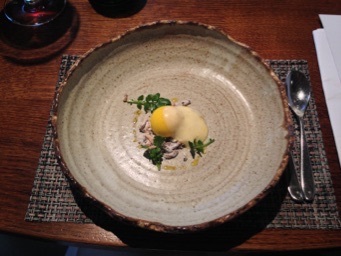 The cod mousse was a sphere wrapped up in a saffron gel, well balanced as too much saffron can be bitter, which this certainly wasn’t. I loved the difference in tastes and textures with the smooth mousse and the seasoned puffed rice. 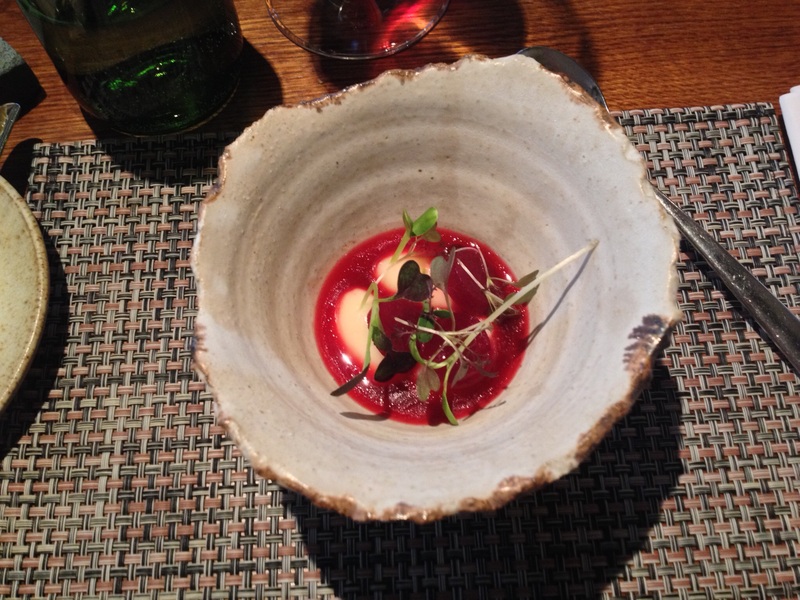 The beetroot broth was light, and the Westcombe cheddar curd dumplings were smooth, light and not too cheesy. 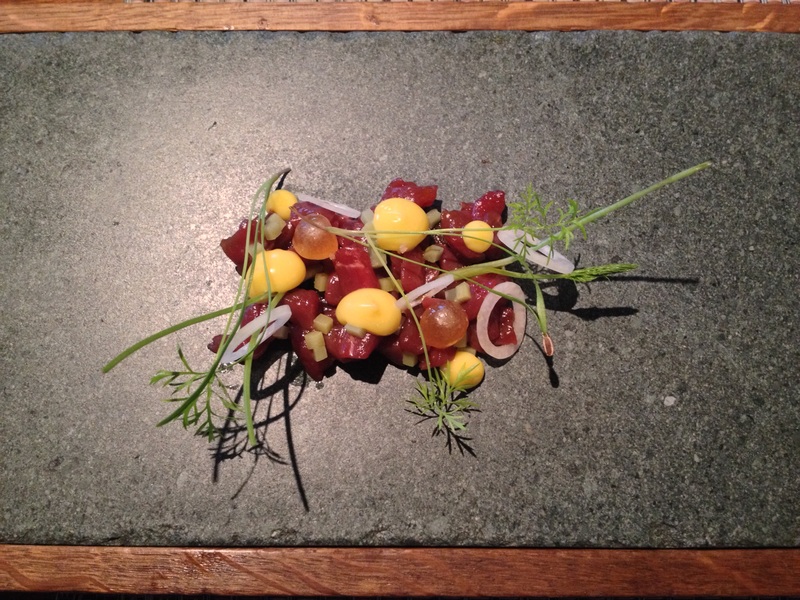 The venison loin tartar was served on a caper jam and topped with drops of mustard mayonnaise and onion. The venison was silky and melted in the mouth, while the fennel candy spheres were filled with fennel gin and were incredibly intense and worked brilliantly with the rest of the dish. A great mix of flavours and beautiful to look at. The mutton was absolutely delicious, perfectly cooked and tender. I assume it had been cooked in a water bath to get it cooked this accurately, especially with mutton having the tendency to be tough, as it’s from an older animal. It was fantastic!! 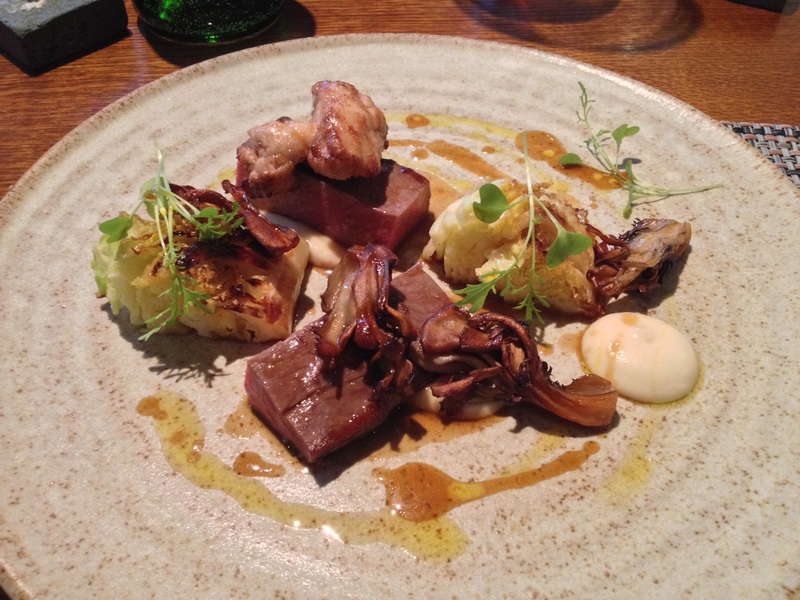 The additions of the perfectly cooked sweetbreads, the charred cabbage and celeriac puree, which was uber smooth were fantastic. 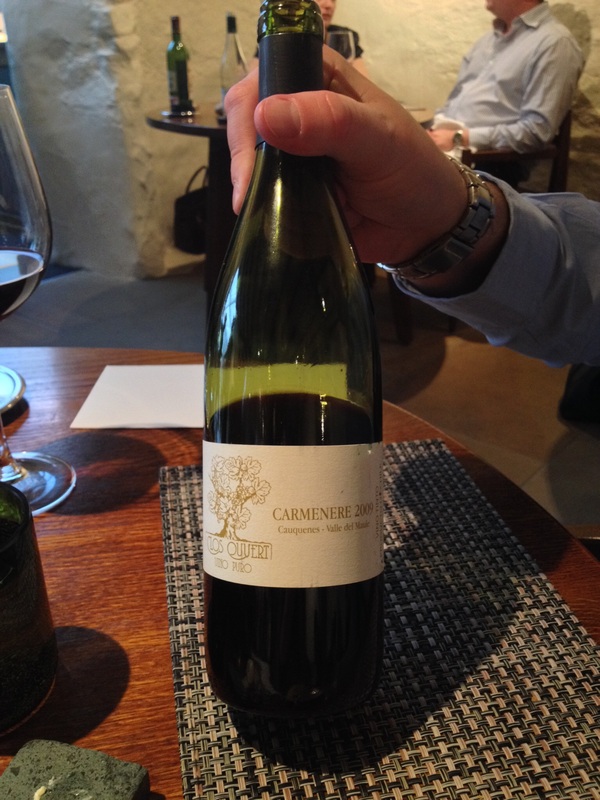 By this point in the meal, we were well into our lunch but were in need of more wine to accompany our food, so wanted to try some more of the Biodynamic wines. 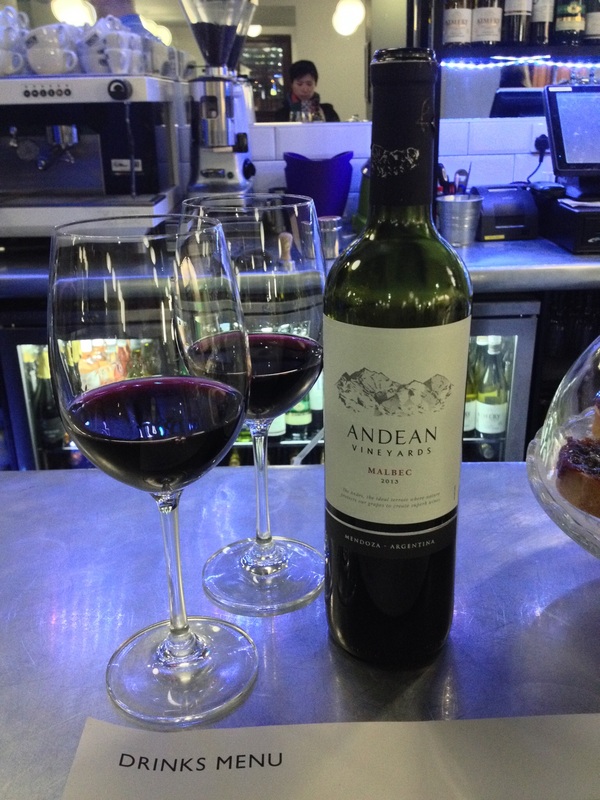 Our Sommelier was once again on hand to advise us and we selected another from the same producer, this time a more fuller bodied Carmenere. It was a lovely wine, but I personally preferred the smokey Huasa de Trequilema as I felt this was more unusual in taste and aroma. 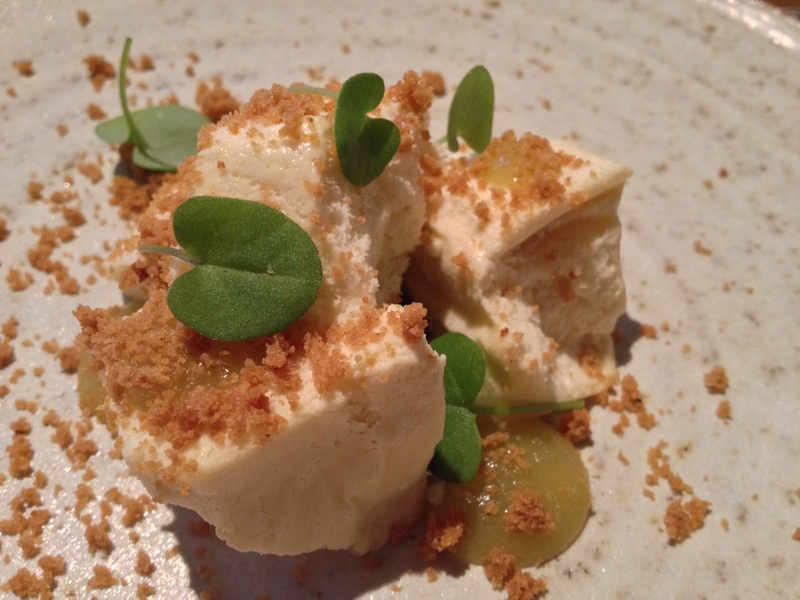 This was a lovely dessert to begin the end of our meal with, a frozen meadowsweet mousse, with a hint of vanilla, dots of Granny Smith sauce and baby sorrel leaves. 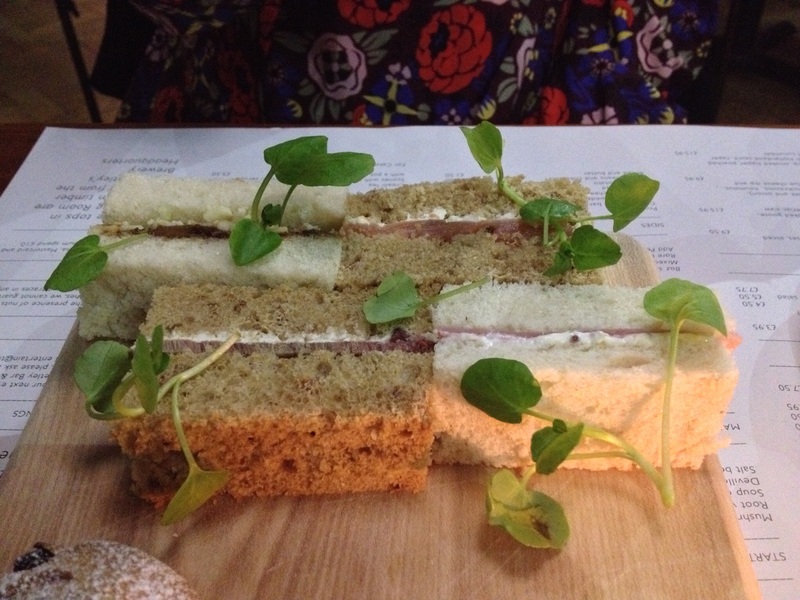 I was very grateful for the alternative crumb on top, instead of walnut was a lovely ginger biscuit crumb. Yummy!! Apologies for the rubbish photo, certainly not one of my best!! The taste was good though, it was quickly polished off in a few spoonfuls, I loved it, the whole thing. After we’d finished eating Sam asked us if we’d be interested in coming into the kitchen area, where we could have a sneaky peak and watch the chefs while service was on. I leapt up like a bunny rabbit, trying to hide my eagerness to see where the culinary magic happens. 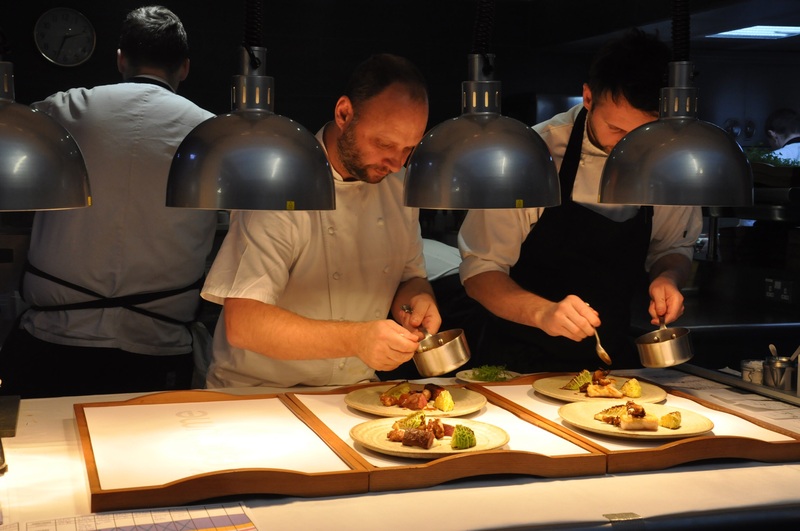 Once again, there was a measured approach to everything, the chefs quietly working away, finely tuning each plate to get it just so. Even though their dishes obviously take a tremendous amount of work, from their conception to the final dish that’s served to the diner, it was fantastic to be so close, to see their food being assembled on the plate by the man who creates the dishes. 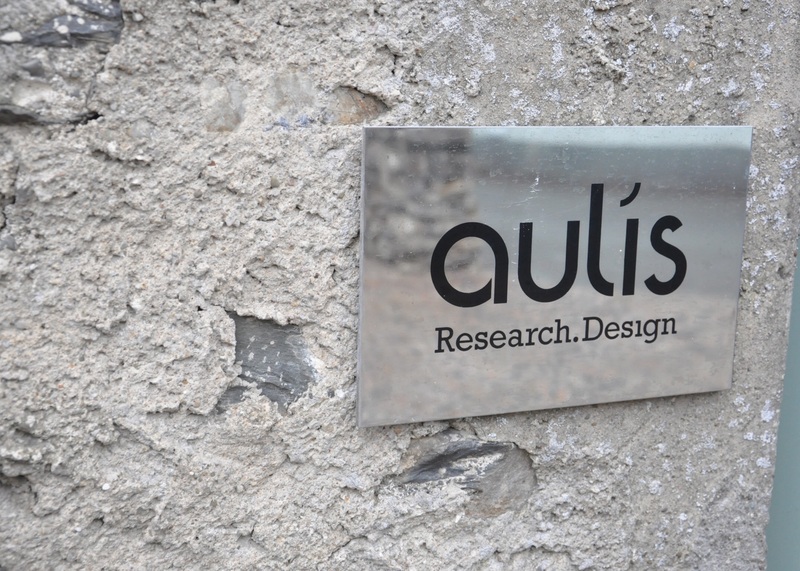 If that wasn’t enough, we were then once again approached by Sam and this time he asked us if we had time for a little surprise, we of course said ‘yes!’ He then duly showed us outside to Aulis, their research and development kitchen. They have recently extended the size of the space with improved facilities and now have a bigger team to develop new dishes. One of the things they are currently trying to do is to find out what they can do to minimise waste to the nth degree, for example with leftover cheese and even liquid left from cooking split peas!! It was really interesting to get the smallest insight to what they do here, and hear people speak with such passion about their jobs. I was very jealous! I was really excited to hear that another thing in the pipeline is the production of their own wine too!! 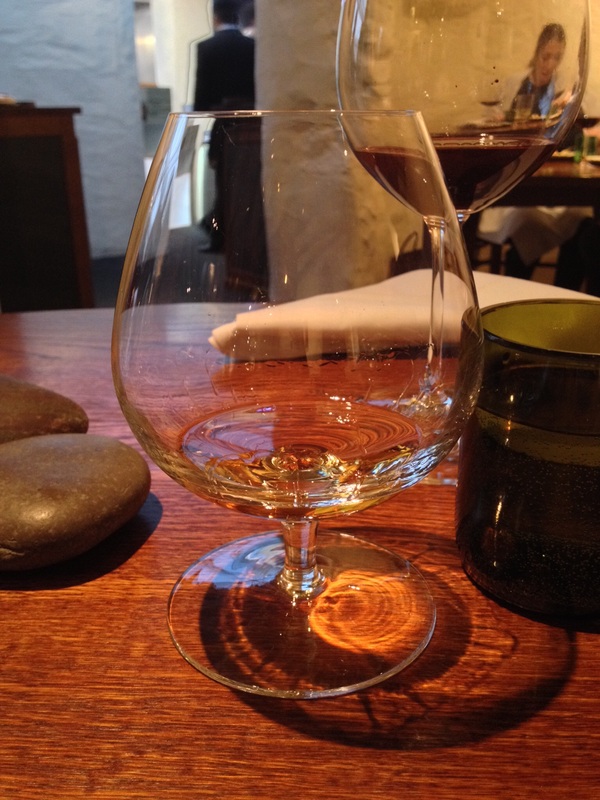 I personally was on such a high when we came back into the dining room, a couple of minutes later Sam brought a trolley with our petit fours, coffees and whiskies, our L’Enclume experience wasn’t quite over yet. 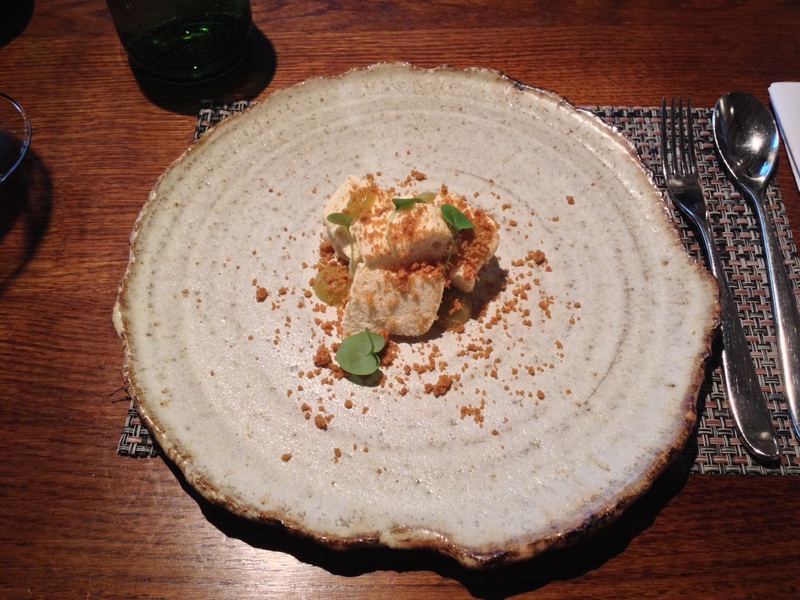 I hadn’t eaten Kendall mint cake before, so L’Enclume’s take was always going to be completely new to me. I popped it in my mouth and got an immediate hit of intense mint and I really liked the aerated base. 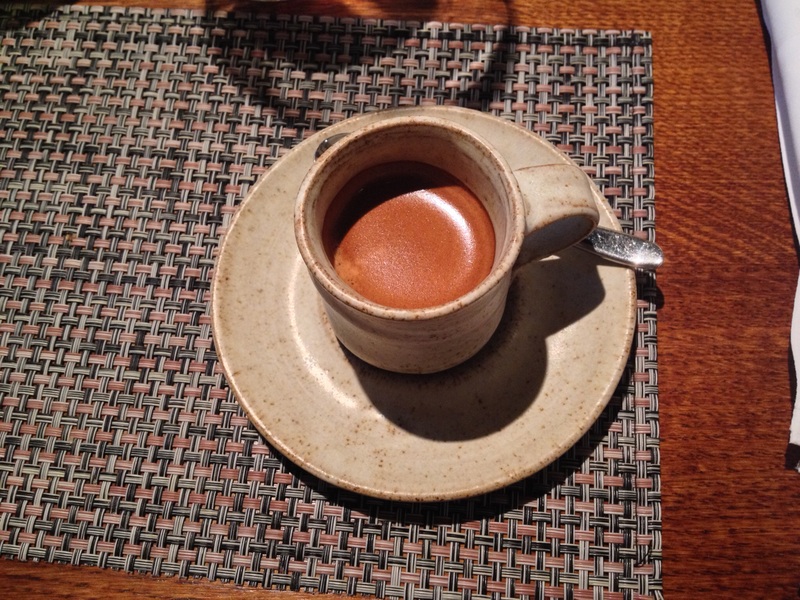 It went great with my espresso and was a wonderful end to what had been a experience to remember. 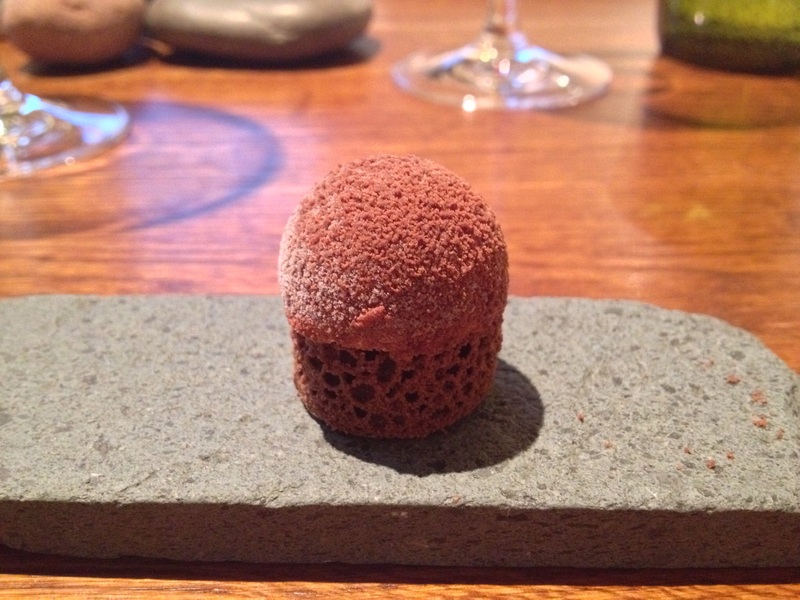 Hopefully it won’t be my last at L’Enclume.